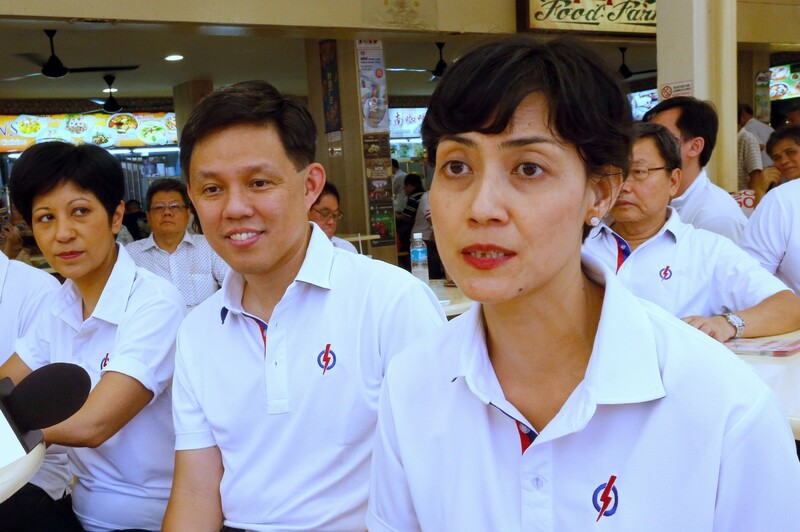 DPP secretary-general Benjamin Pwee (right) will seek to work out the best arrangement for Singapore People's Party's (SPP) Lina Chiam and former National Solidarity Party secretary-general Tan Lam Siong to win Potong Pasir. 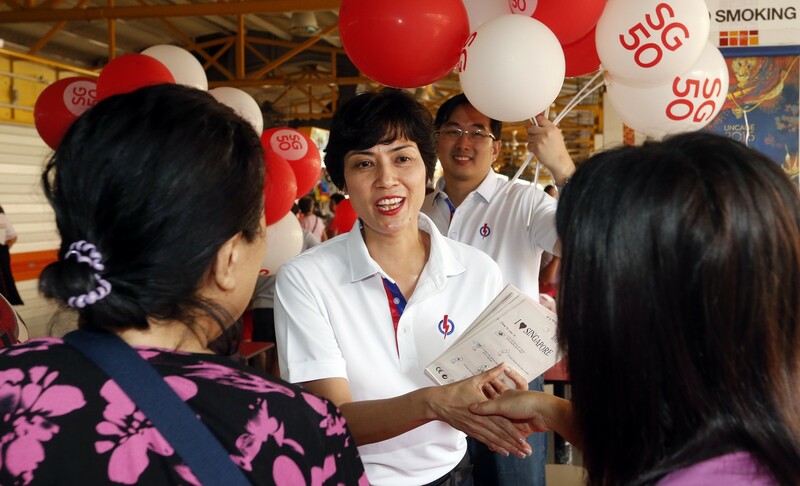 The Singapore People's Party's (SPP) Lina Chiam stood her ground last night as she warned fellow opposition parties against writing her off as a candidate for the Potong Pasir single-seat ward, which was held by her husband Chiam See Tong for 27 years until 2011. 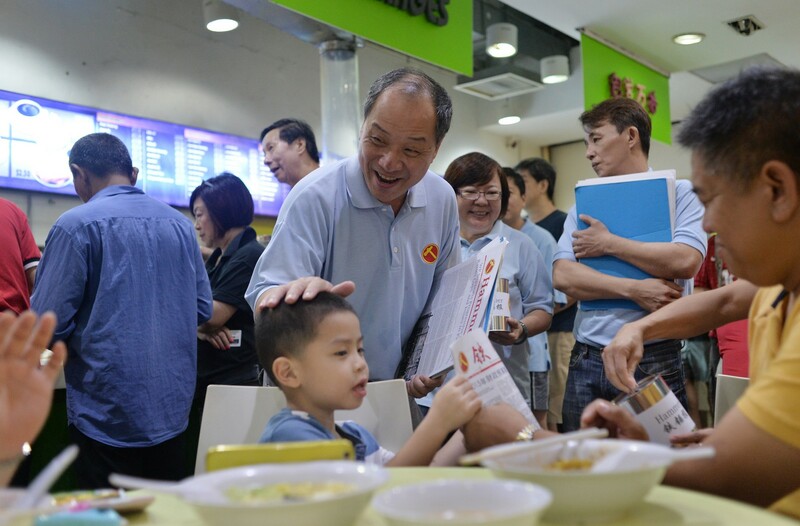 Her declaration in a Facebook post that she "will never forsake Potong Pasir to stand as a candidate in another constituency" came as former National Solidarity Party secretary-general Tan Lam Siong declared his intention to run in Potong Pasir as an independent candidate in the next elections. 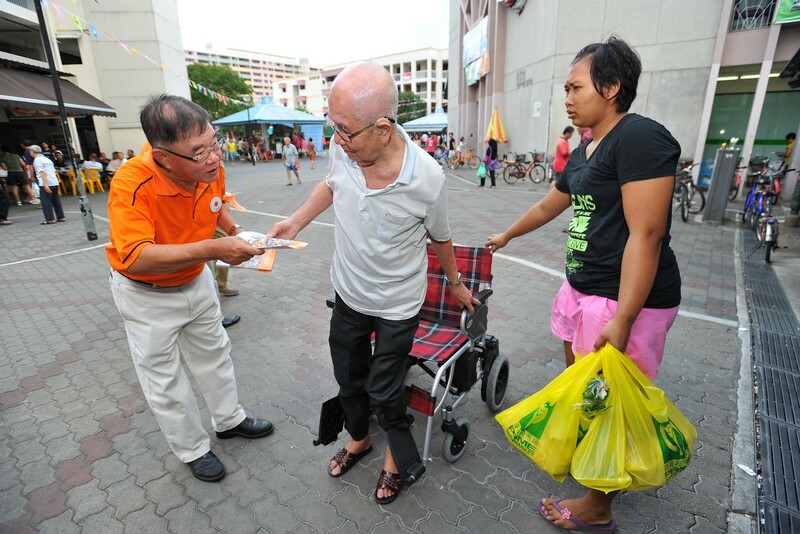 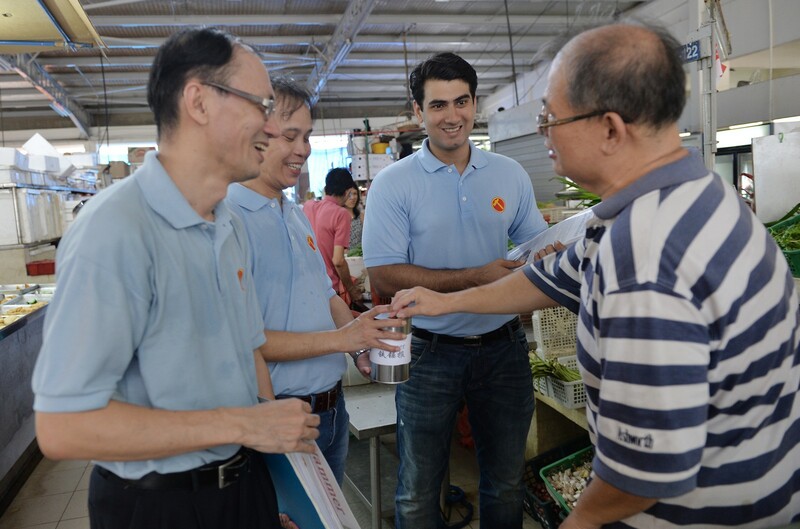 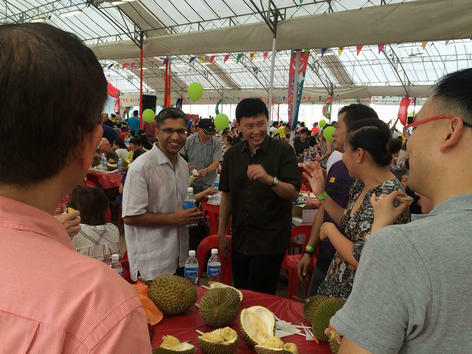 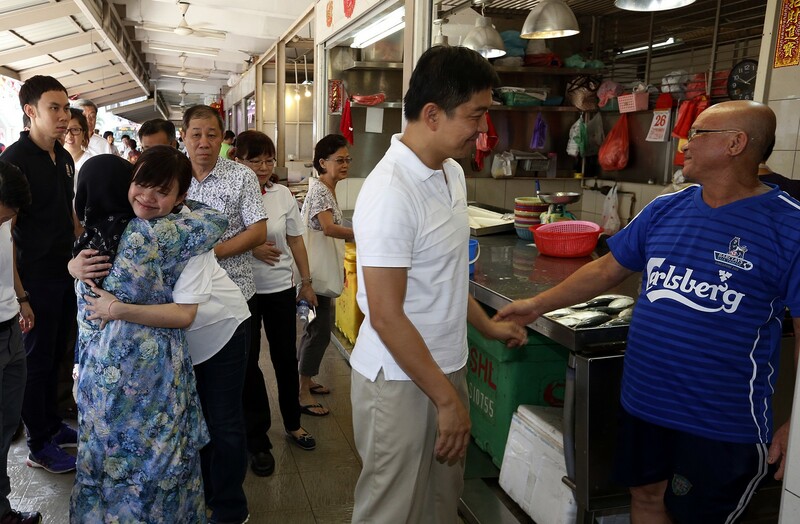 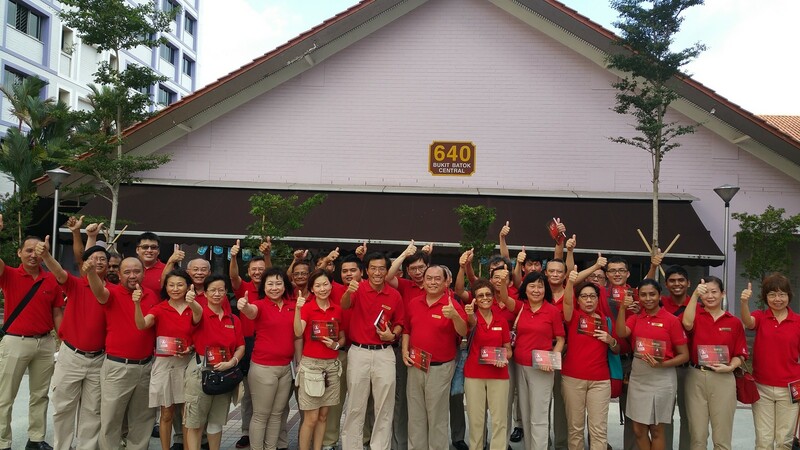 "I've been going down to Potong Pasir and Toa Payoh frequently in the last few weeks, especially after Whampoa was absorbed, and residents tell me they want a choice," he told reporters as he accompanied a Singapore Democratic Alliance team to show his support for them on a walkabout in Sengkang. 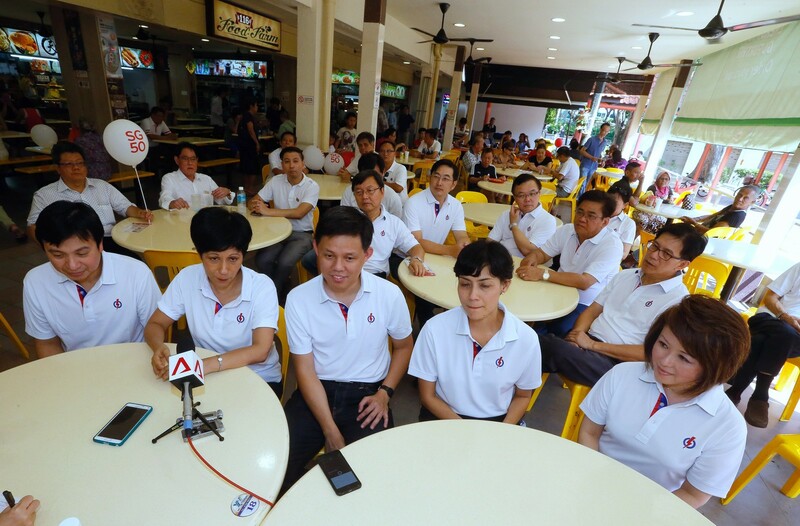 "I will be running there and I won't be donning any colours this time around." 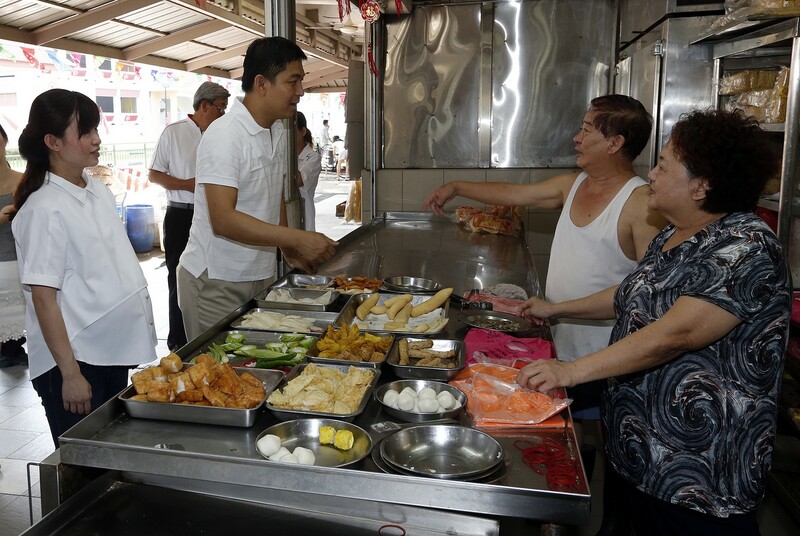 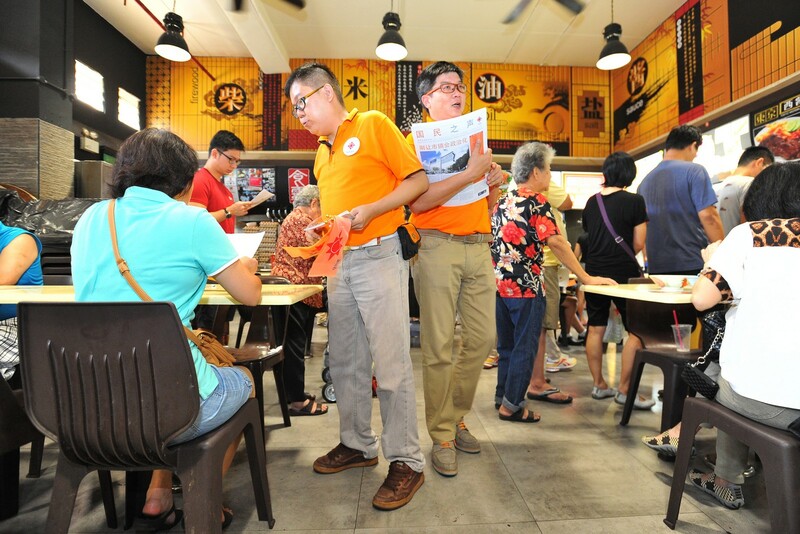 Potong Pasir, which the People's Action Party's (PAP) Sitoh Yih Pin won by a wafer-thin 114 votes in a contest against Mrs Chiam at the 2011 General Election, is also on the radar of the Democratic Progressive Party (DPP). 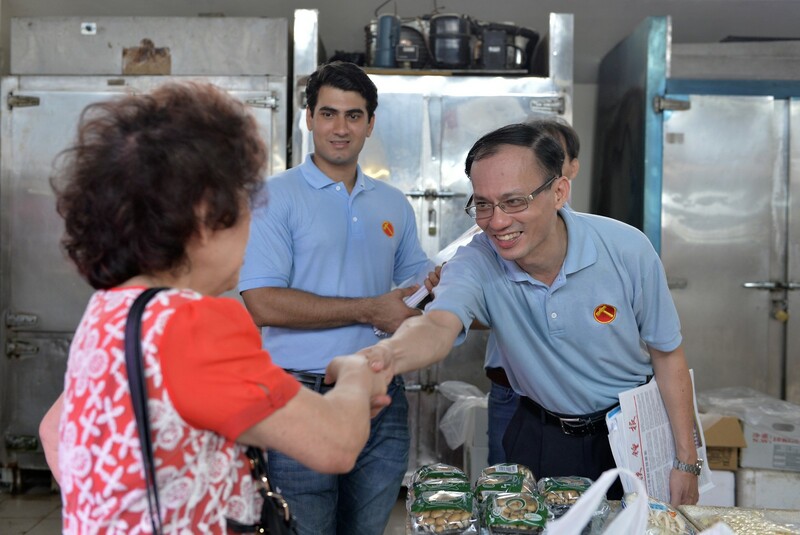 DPP secretary-general Benjamin Pwee - a SPP candidate in 2011 but who quit a year later - said last week that his party will have a Potong Pasir candidate "because we believe we can put somebody who is a lot stronger than Mrs Chiam". 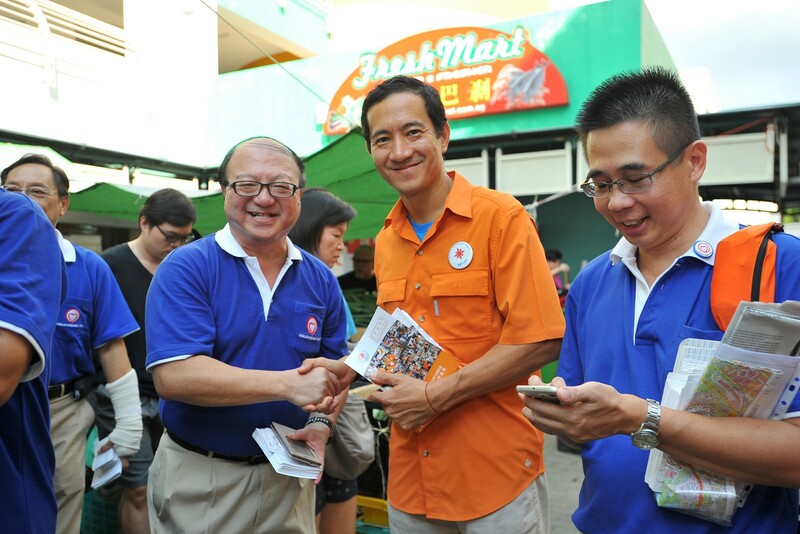 Yesterday, Mr Tan - a lawyer who was interested in running in Whampoa until boundary changes meant that it will merge with Jalan Besar GRC for the next elections - was unfazed by the thought of jumping into a four-cornered contest. 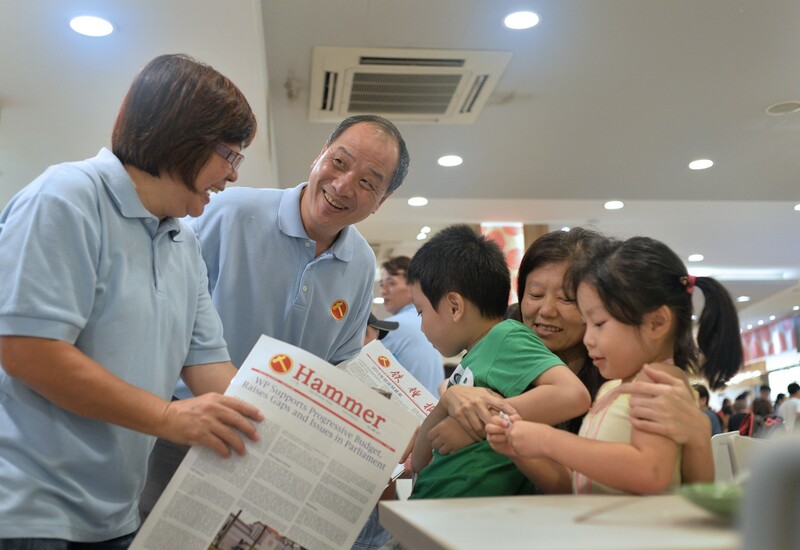 He wanted to give voters "real choice" and would relish the fight. 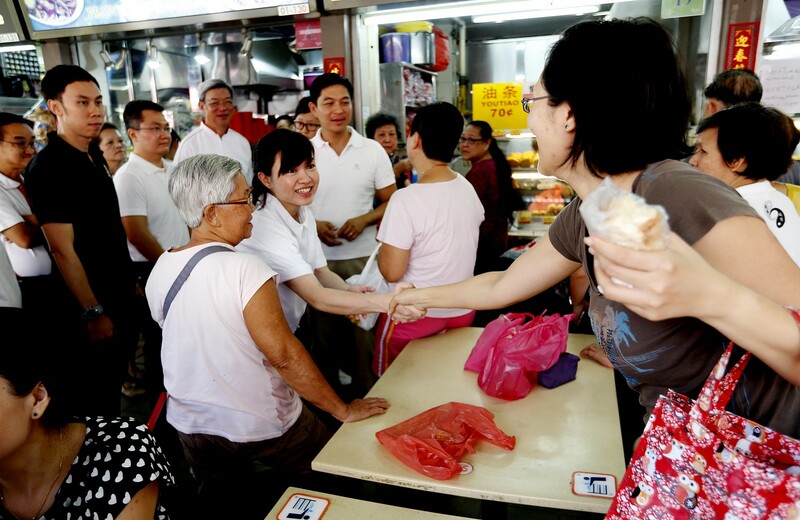 "As an independent, I'm not involved in horse-trading talks between the different opposition parties. 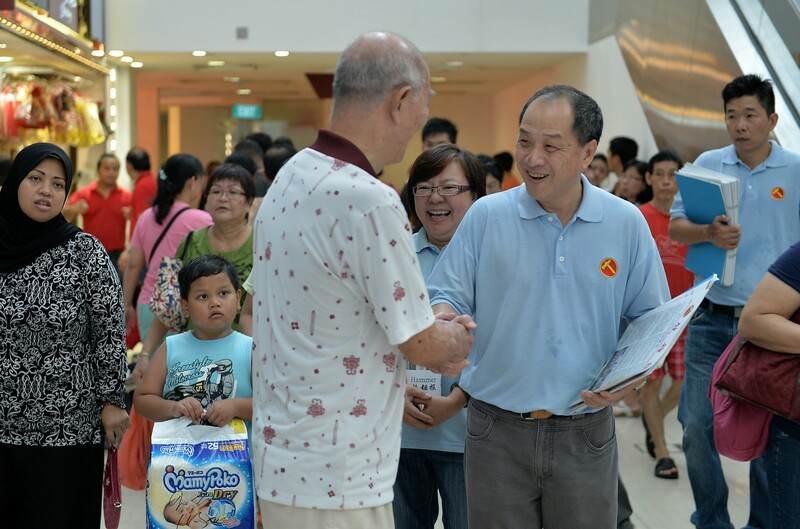 Let the people have all the choices, rather than pre-select for them." 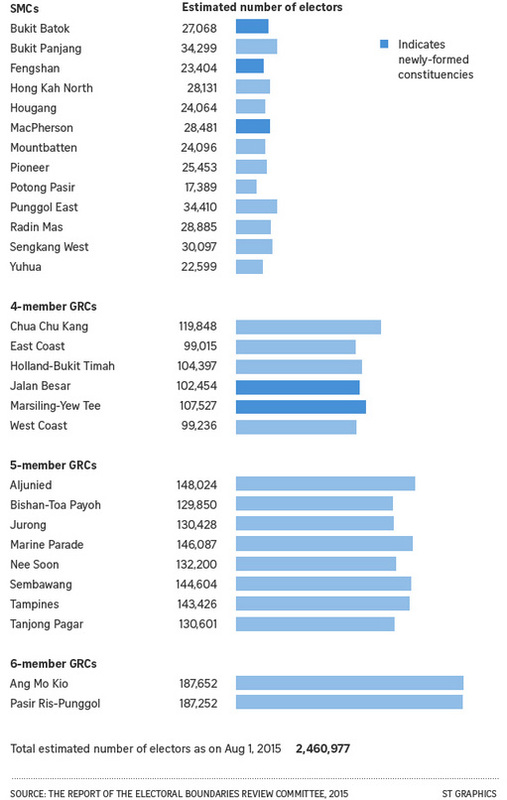 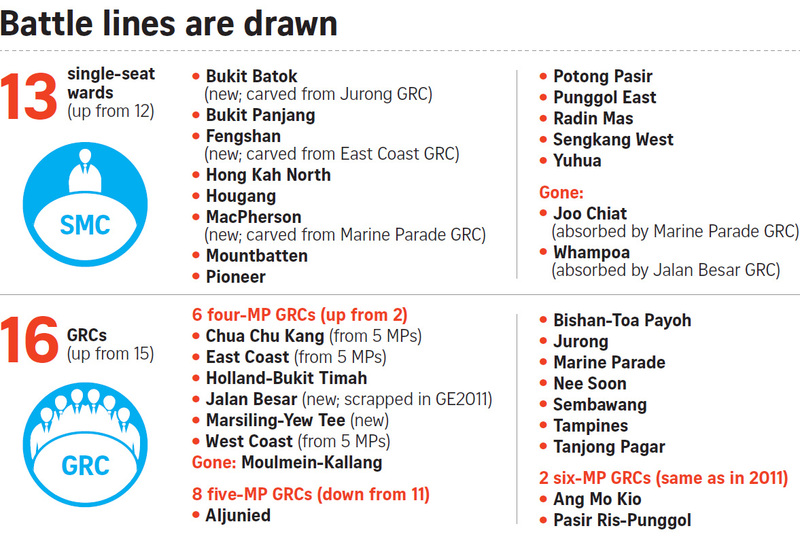 Opposition parties, which will meet tomorrow, are expected to divvy up the different constituencies with minimal overlap so that the opposition vote will not be split. 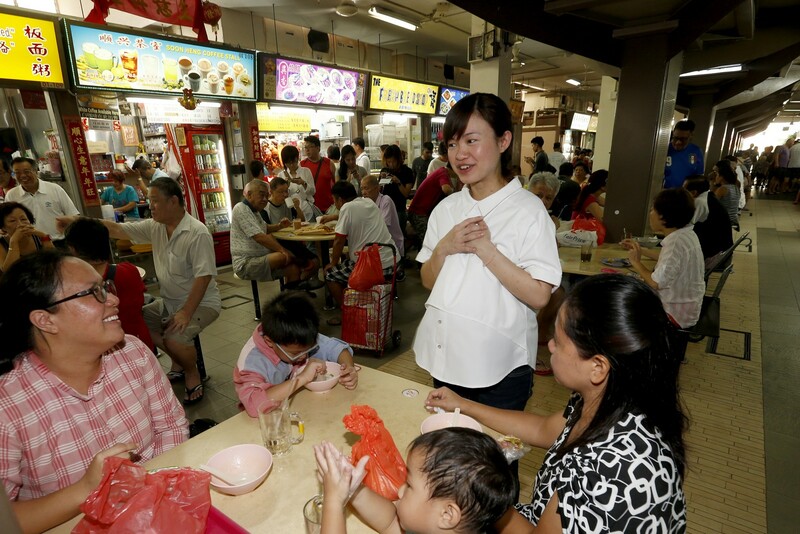 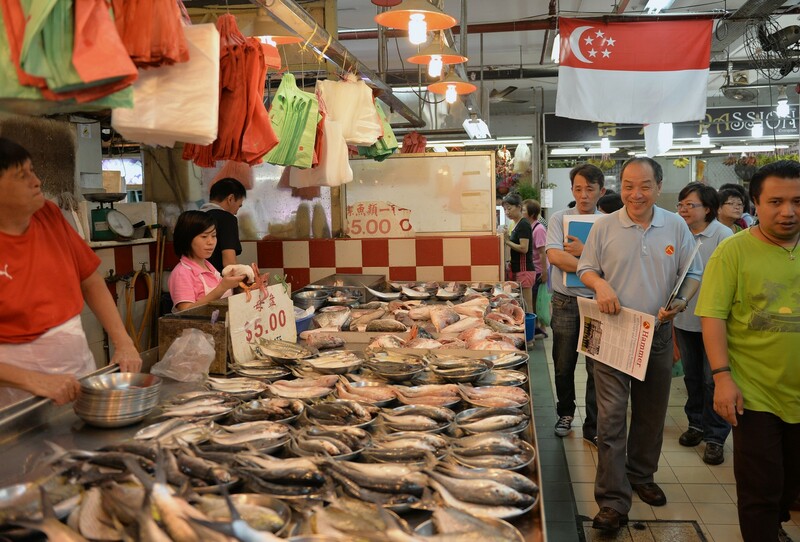 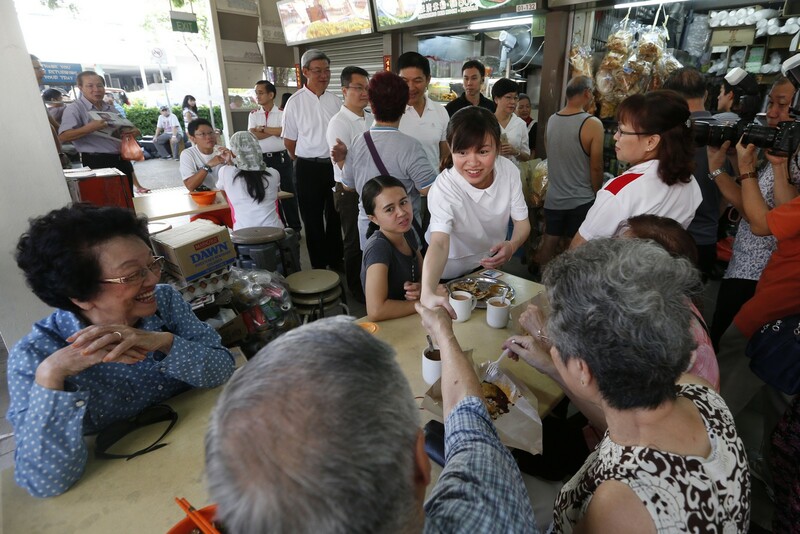 Mrs Chiam, in her Facebook post, declared that Potong Pasir "is still 'My Kind of Town'." 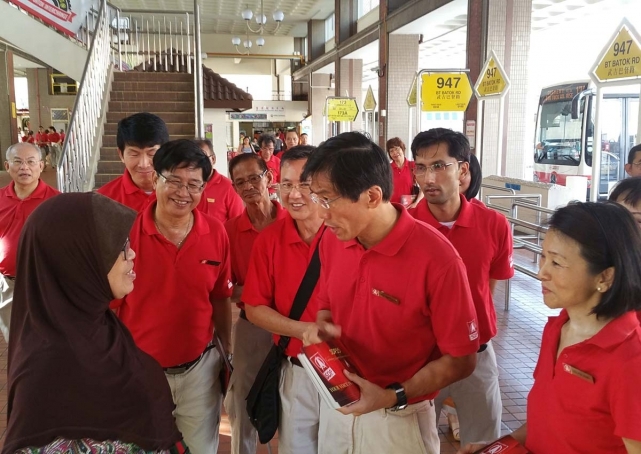 She said there were some people who have perceived and taken issue with the fact that "I, as a woman, older and supposedly with lesser academic qualifications, should not contest in a multi-cornered fight with better-qualified candidates. 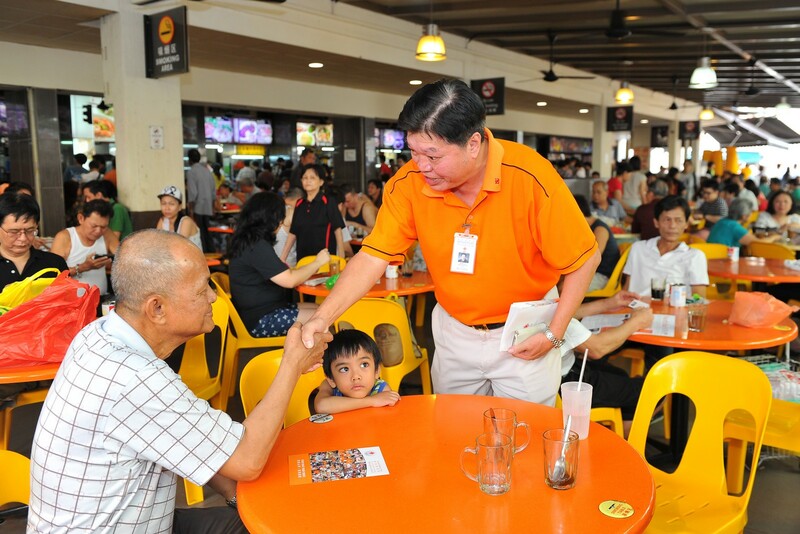 I will never feel unequal to any challenges". 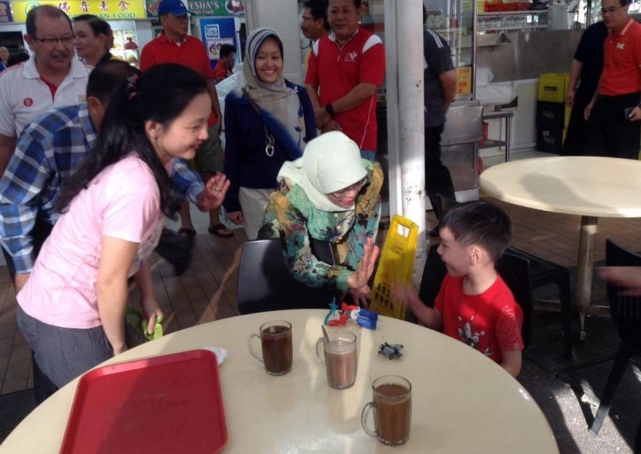 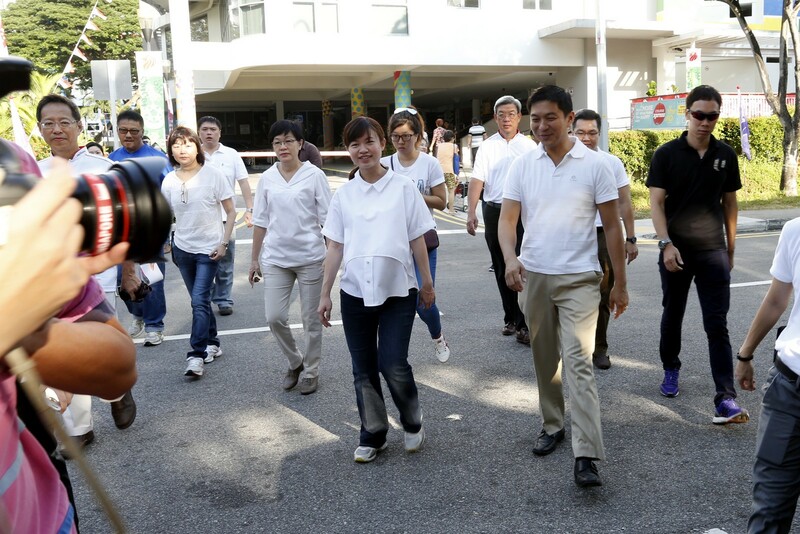 Mrs Chiam, who entered Parliament as a Non-Constituency MP, said she has been walking the ground in Potong Pasir for the past four years and been an active parliamentarian. 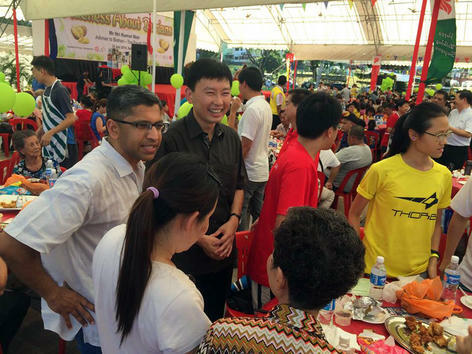 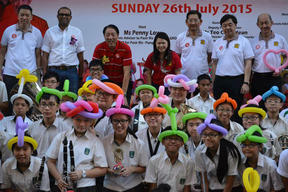 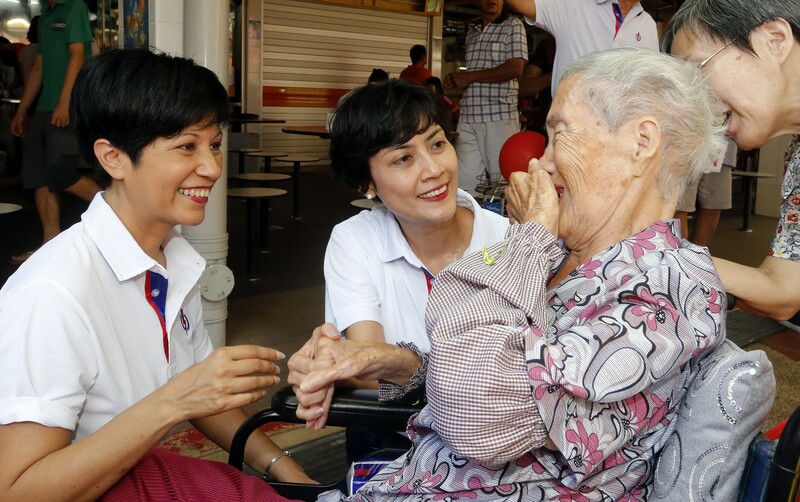 She reiterated that she had also helped Mr Chiam when he was the constituency's MP. 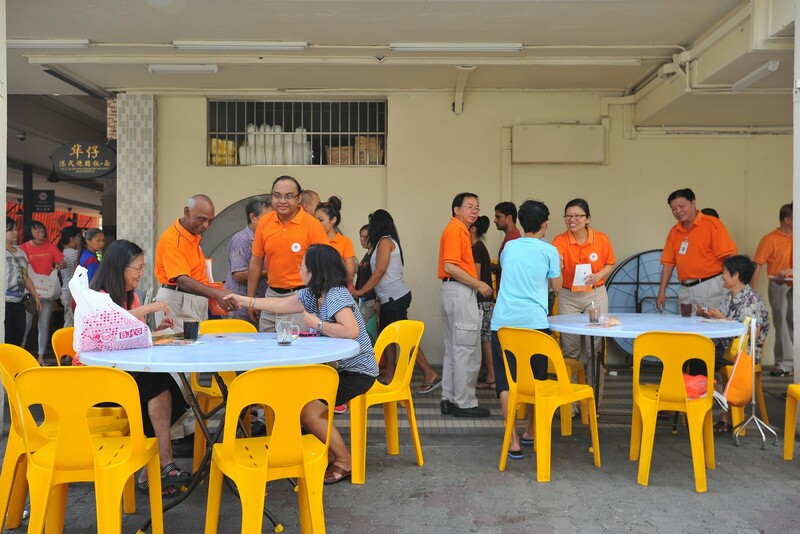 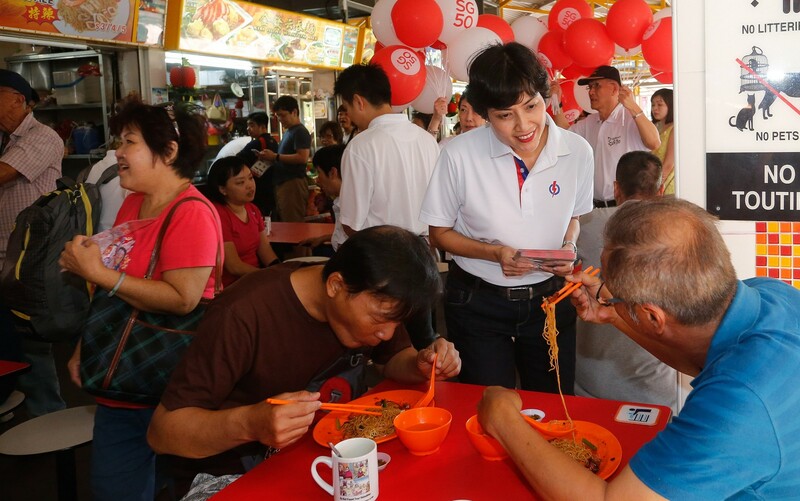 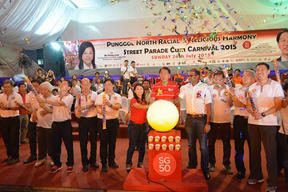 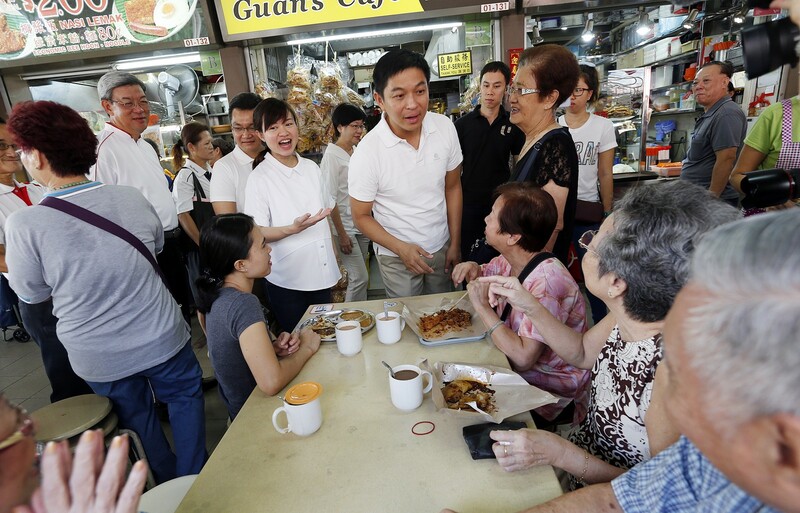 "I have already sunk my roots and bonded with Potong Pasir residents long before any candidates," she added. 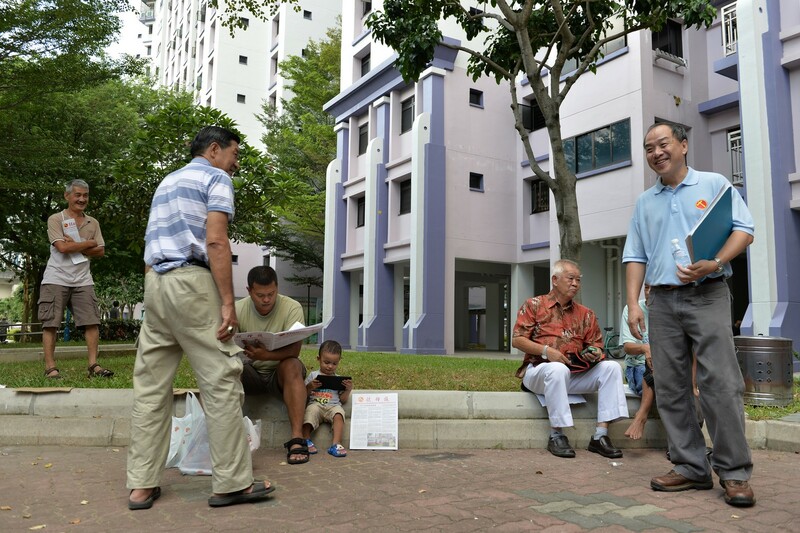 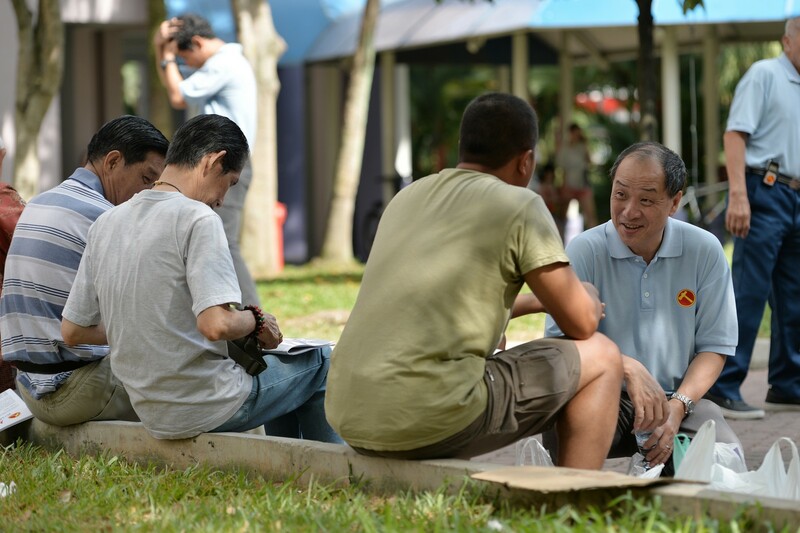 Mr Pwee, contacted last night about Mr Tan's intention to stand in Potong Pasir, told The Sunday Times that his party welcomed "a good, open fight in Potong Pasir amongst credible candidates". 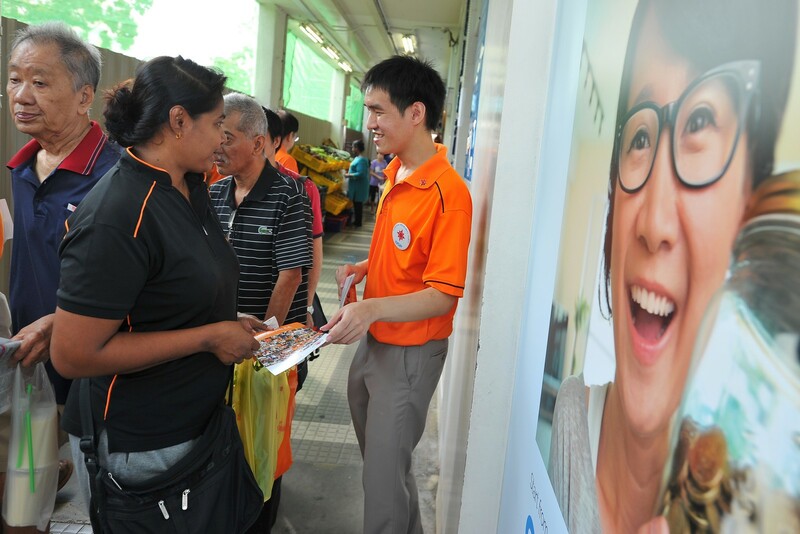 He added that the party would continue "to trust the voters to vote the most credible candidate to win Potong Pasir back from the PAP". 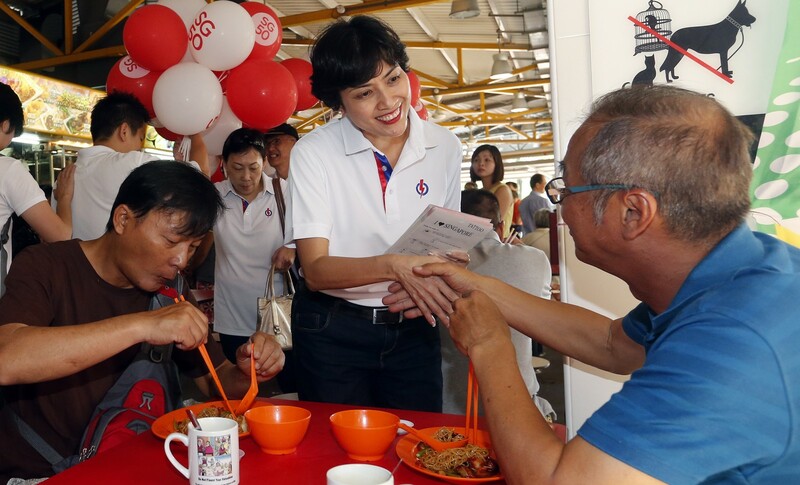 As for the overlapping interest with the SPP's Mrs Chiam, he said the party was committed to Potong Pasir and he hoped to work out an arrangement with the SPP at tomorrow's meeting among opposition parties.